This report is for men and women of all ages wanting relief from lower back pain in only 8-minutes. Relieves Years of Lower Back Pain, Improves Posture, and Makes You Feel Brand New. Bonus: It naturally corrects the “Fault” lines in your body and brings balance to your lower back and spine making you look taller, thinner, and more confident. 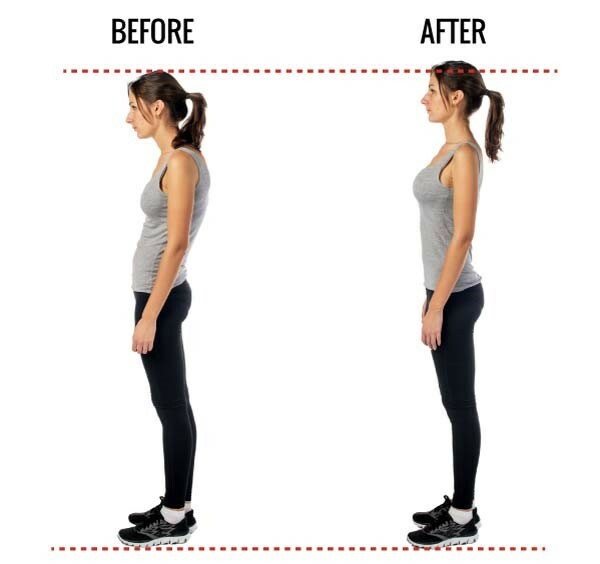 Studies show that lower pain causes you to go into a “protective pattern” and can rapidly lead to poor posture. The longer the pain lasts, the worse it gets. This poor posture can make the lower back and spine more vulnerable to pain and make you appear shorter than you really are. And depending on how long you stay in this position, the compression on the spine can actually make you shorter for real. …stronger muscles, better posture, and increased energy in just 8-minutes a day for 2-weeks. The information in this report may contradict anything you may have been told in the past about lower back pain. Her name was Joan, a mother of two kids, who came to me as a last resort. “Can you help me, Mike?” she asked as tried to painfully stand upright from sitting in my waiting room. Joan used to be a vibrant and happy wife, in a loving relationship, who loved dancing and going to the gym. But since her back pain started, she has never been the same. She had difficulty walking long distances and bending over to pick up the laundry, but when taking ibuprofen it seemed to be fine. But eventually the annoying pain worsened. It began disrupting her sleep. Bending over to pick up and carry in the groceries would spark a painful twinge. Just standing in line at the grocery store, or lifting her kids, was like playing russian roulette. Like most “stay at home” moms, Joan had no choice but to keep prepping meals, cleaning dishes, carrying laundry, and grocery bags, regardless of pain or not. The MRI scan showed a narrowed disc space, arthritic changes, and a herniated disc. Then, 7 months from when this nightmare started, an orthopedic surgeon performed a procedure called “Lumbar microdiscectomy”, where they go in and “trim-out” the bulging disc. For 84% of patients with lower back pain or sciatica who undergo microdiscectomy, the procedure helps relieve pain. In Joan’s case, her back pain increased. Another MRI showed that scar tissue had built up and was tightening up the back even more. And the disc had herniated again! The surgeon told Joan that the next step would be to FUSE her lumbar spine which the disc has supposedly “Re-herniated”. The surgeon’s new plan was to put her under general anesthesia and open up the back, remove the herniated disc, replace it with bone cement and fixate the segment with a cage and hardware. Joan wanted to avoid another surgery at all costs. She sought the help from a local chiropractor. She was referred to a chiropractor by one of her friends. Joan wasn’t too excited about trying chiropractic medicine, but she did not want another surgery and felt that she had no choice. According to Joan, what happened next at the chiropactor’s office, was nothing short of…MEDIEVAL TORTURE. The chiropractor explained that since her disc was pushing on the nerve, the only way to get the herniated disc back in place again was to adjust the back and put everything back into alignment. First, the chiropractor tried to loosen up her back with electrical stimulation. He then put her on another bed with rollers to massage the back. After that, he put her on her side and pushed her shoulder one way while he rotated her spine and pulled her hips the opposite way. The pain was excruciating! She felt a sharp pain the lower back and it shot down the leg. Instantly, Joan let out what could only be called a primal scream. “There are lots of nerves around your spine and disc,” the chiropractor said. “I’m really sorry.” And gave her a box of tissue as she began to cry. She felt jolts of taser-like electric shocks running through her back, hip and down the leg. Joan was sobbing now. “Ok, you can relax now” the chiropractor said as he exhaled. He told Joan she had done very well. But to Joan, she WAS DONE. After that ordeal, she thought she had no hope. She didn’t want another surgery, but she didn’t know what else to do. She went back to her surgeon and he offered up a round of spinal injections and then the fusion. And now today, Joan was in my wellness center looking for hope. In order to get out of pain, save her sanity, Joan needed nothing short of a miracle. I have to admit, Joan was in pretty bad shape. She came to me because I’d been recommended. Joan heard about the incredible results I’d produced with a couple of her co-workers. Because not only had my method helped her co-workers but years ago, I had experienced similar lower back pain competing in a powerlifting competition. And I would have given ANYTHING to get out of pain. Pain haunted me every single day. Doctors suggested I give up powerlifting—the sport I loved since I was 14 years old. I discovered the real cause of lower back and sciatica pain. My special research gave me a unique understanding of the lumbar spine and how it is affected by movement, biochemistry, emotions and especially NON-MOVEMENT. There’s a reason why things like medicine, chiropractors, injections, massage and even surgery don’t provide long-lasting relief for lower back pain. My discovery found that in the overwhelming majority of cases, lower back pain is a symptom created by “Fault Lines”. In most back cases, people are afraid to move it and attempt to protect it and “baby” it. Blood flow decreases, preventing oxygen and other vital nutrients from reaching your lower back. If nothing is done to resolve these Fault Lines, you’re setting yourself up to get “a herniated disc”, irreversible arthritis, and even depression. So if you want to eliminate your lower back pain once and for all, you need to fix the true cause…the Fault Lines. The blood flow returns in your lower back, brings oxygen and relieves pain. 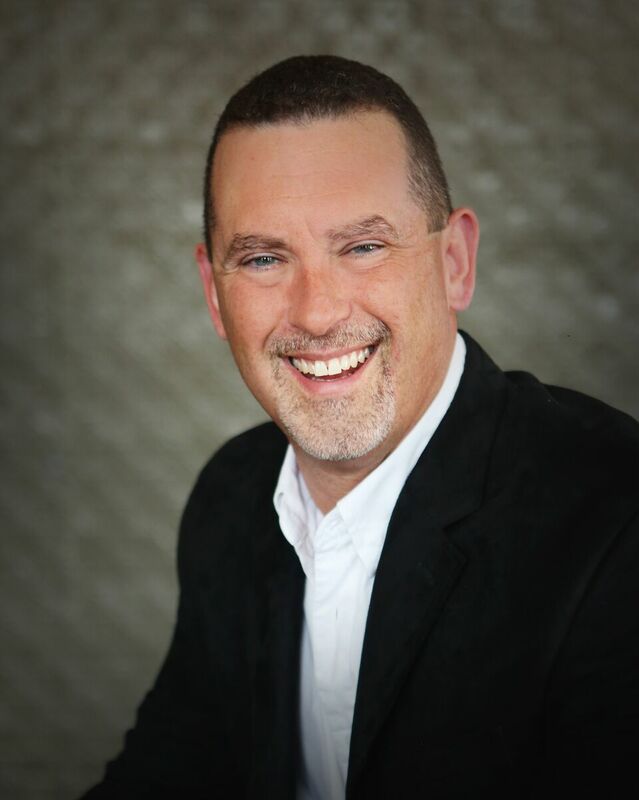 Since my discovery, I’ve focused much of my career on lower back and chronic pain. I’ve become the renowned authority on back pain in the state of Iowa with thousands depending on me for advice and guidance. I’ve developed a reputation for being the first person to see before physicians, chiropractors, or physical therapists. I’m driven to help even more people. And that’s why I’m making this unique lower back pain relieving method available online. Lower Back Pain Relief for Life is an alternative approach to treating pain that is immensely more successful (and cheaper) than the conventional, costly options. From CEO’s, to moms with kids, to professional athletes, to teens,…people from all walks of life have benefited from this miraculous discovery and groundbreaking program. What is the Secret That Makes the Lower Back Pain Relief for Life Program So Effective? In the amount of time it takes to drive to the drugstore, massage therapist, chiropractor or doctor, you can get relief and fix your chronic lower back pain on your own. With the Lower Back Pain Relief for Life program, you won’t need to do a long list of exercises, hassle with hot/cold packs, TENS, ultrasound, or put up with painful procedures. Movement #1: Activates a set of muscles that fixes Fault Lines and brings relief to your low back and hips. These muscles are often the main culprit to back pain and poor posture…and they are often overlooked. Self-Treatment #1: Eliminates the most common muscle spasm in your back/hip that causes stiffness, soreness, and tightness. After the 2-minutes it takes to do this simple Self Treatment, you feel immediately lighter and relaxed as your pain melts away. In the 3 video series, you’ll discover the unique movements and Self-Treatments that are the foundation of your back pain relief. That’s why we offer more videos on the in’s-and-out’s of how the program works as well as give you additional tips for getting the most out of each session of the Lower Back Pain Relief 4 Life Program. 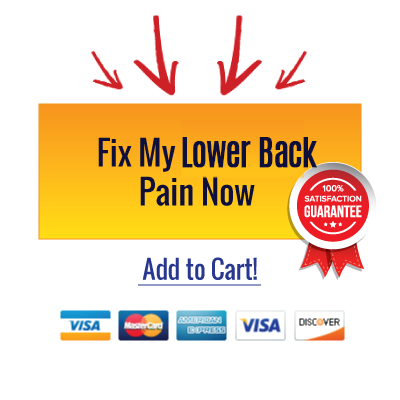 Order the Lower Back Pain Relief 4 Life Program TODAY and you’ll also receive unlimited email access to me and my support team. If we can’t help you that way, we’ll pick up the phone, give you a call, and you can speak to myself or one of my back pain coaches. Even as we grow, we strive to be available to our customers. In my experience, customers are thrilled to be able to speak to real professionals. Someone who knows and understands the in’s and out’s of back pain relief. Please understand, the Lower Back Pain Relief 4 Life program is not a temporary relief program. This program is focused on addressing the true cause of your Lower Back pain so you don’t have to spend the rest of your life treating it. And of course, things get very expensive when you get into medications, advanced treatments and surgery. … or a lumbar fusion where the surgeon removes all of the disc, replaces it with bone cement, installs a cage and fusions the spine, IT’S A COIN-TOSS WHETHER IT WILL WORK OR NOT. As you can see, given the options, giving Lower Pain Relief 4 Life is at least worth a try. Or THE BEST WAY, no matter where you live, is you can try the Lower Back Pain Relief 4 Life online right now for a ONE TIME INVESTMENT of just $27. Bonus: Common Causes of Lower Back Pain, Understanding the Dynamics of the Lower Back Complex, and FAQ’s for the Lower Back. Because I want to get this program into the hands of as many people who are suffering with debilitating Lower Back pain as possible. That’s why we’re offering the Lower Back Pain Relief 4 Life program at this ultra affordable, low price for instant online access, instead of scheduling an expensive trip to our clinic. That’s why the Lower Back Pain Relief 4 Life program comes with a No-Strings 60-Day money back guarantee. 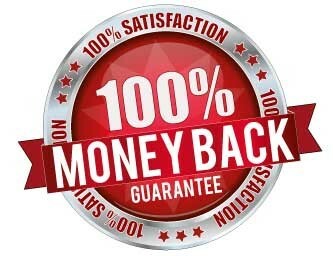 If Lower Back Pain Relief 4 Life fails to provide you with quick and long lasting relief, we’ll give you a fast and full refund on the spot… with no questions asked… with absolutely no hassle. Plus, you can even keep the entire Lower Back Pain Relief 4 Life Program as a token of our appreciation just for giving it a good try. Lower Back Pain Relief 4 Life is not about fluff or hype, it’s about a solution. A single, short, 8-minute method that can begin healing your back just minutes from now. And In LESS Time Than Regular Exercise, Chiropractor visits, TENS, Heat or Ice! You’re about to discover a revolutionary new “secret” to Lower Back pain relief, flushing the pain medications down the toilet and getting back to your regular self, a better self — but in a FRACTION of the time previously thought possible. 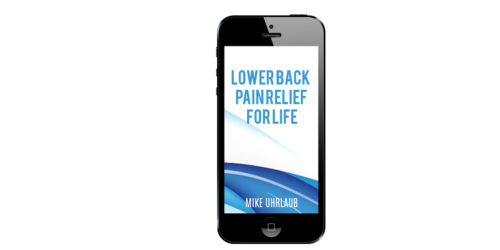 Backed up by the experience of thousands of others, this method used in the Lower Back Pain Relief 4 Life program is the simplest and most effective solution for natural Shoulder pain relief ever created. Prior to stumbling upon this article, you may have been “pre-surgery”. Heavily weighing a back surgery decision. The good news, and prestigious institutions back me up on this, is that even though there are roughly 500,000 back surgeries a year, it’s rarely necessary. According to institutions like the Mayo Clinic, most back pain can be resolved on its own within two months with proper attention and care. That includes challenging issues such as spinal stenosis, degenerative disc disease, spondylolisthesis, herniated disc and arthritis. That is indeed good news for people considering back surgery. So I encourage you: Do yourself a favor and try Lower Back Pain Relief 4 Life first. Just a few short minutes from now you can be experiencing that first initial wave of relief wash over you. I have NEVER had a client try Lower Back Pain Relief 4 Life and then opt afterward for back surgery. Never. It just doesn’t happen. P.S. If you’re still not sure that the Lower Pain Relief 4 Life program is for you, then take a moment and listen to our satisfied clients here. Watch the videos. Every client success story you see mentioned in this article is verifiable. Other programs that promise Lower Back pain relief lead you through the long process of assessing the cause of your back pain and then help you select the exercises that will help. The Lower Back Pain Relief 4 Life program is different. We jump right in. Straight to relief. It makes those other options look stale and fluffy. With Lower Back Pain Relief 4 Life, you simply do the movements and self-treatments. That’s it. And in 8 minutes or less, your session is done. And you’re feeling relief, maybe for the first time in years.